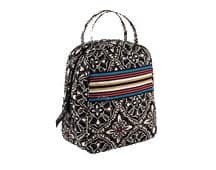 Through today, VeraBradley.com is offering 50% all items in the Slate Blooms, Hello Dahlia, Barcelona and Twirly Birds Navy collections. If you spend over $100, shipping is free. Maybe you want to pick up a few lunch bags for teachers gifts? These are $14 each. Or maybe you want to look at the totes to carry around all the kid stuff. 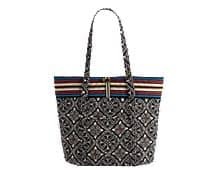 This Vera bag is $40.